Hey, everyone! I have a fun, new hack for you that involves creating a full-width “widget” in your WordPress dashboard. The dashboard widgets that come out of the box with WordPress include things like Quick..
Widgets and menus are generally your first port of call when making customizations to a WordPress site. Not only do they allow you place and display content anywhere on your site (that is widget-ready, of..
One of the best aspects of WordPress CMS is the amazing collection of pre-built themes (both paid and free) it offers. Whether you want to setup a WordPress powered blog or any standard website, you can.. In my last post, I gave you an overview of WP-API. Read through that post if you need a primer on the capabilities of WP-API. For this post, I will offer an example of API usage and how it can benefit site.. In a recent task that I worked on, the requirement was to set up a custom field called “Related Services” for Posts and display this field’s value in a sidebar widget. The widget should appear on the..
Widgets can be useful for displaying posts, featuring products, showing Twitter feeds, linking to other websites and a whole lot more! A vanilla WordPress install comes with 12 widgets. In many cases,..
Have you ever wanted to put something in the sidebar of your website that you couldn’t quite get to work with the default widgets or third party plugins? Widgets are pretty useful things for sharing related.. These days, many WordPress themes have a number of widget areas in the footer, meaning you can create a “fat footer” with multiple widget areas side by side. It’s something I use on all of my themes. But.. Continuing from my earlier article titled How to create a custom widget that displays value of a custom field in WordPress, here I am going to share how I have set up a custom widget that pulls a fixed.. If you’ve been following this series, you will now have the beginnings of a plugin for your widget. You’ll have created the class to code your widget and added the function to register it. In this tutorial..
Have you ever wished that your WordPress dashboard was a more useful place? Sure, there are plugins that add modules there but there are countless metrics and shortcuts you may want to add yourself. In this..
Widgets are a neat way of giving site owners some control over the look (and sometimes functionality) of their WordPress sites. 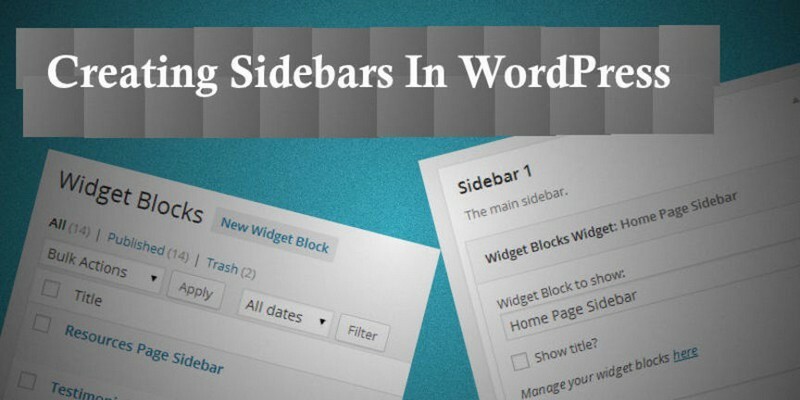 In this series, we are going to be creating a handful of WordPress widgets by..
Sidebars can be a confusing term in WordPress. This is mostly because in the context of themes and web design, the sidebar is a component of a website’s layout. But in WordPress, sidebar can also refer to.. In the first three parts of this series, you’ve started creating your WordPress widget. In this part, I’ll show you how to create the form for your widget and ensure that WordPress can update any settings on..
Twitter made several changes when they launched 1.1 of their API. One of the most notable changes is the introduction of authentication. That is, applications need to be authenticated before they are allowed.. The final stage of creating your widget is to display its output on the site. You do this by further editing the WP_Widget class. There are two parts to this: adding a function outside the widget which will..
For non-coders creating a WordPress site, widgets are great. They let you add menus, lists, feeds, text and much much more to widget areas which don’t need to be limited to the sidebar. Many themes now.. 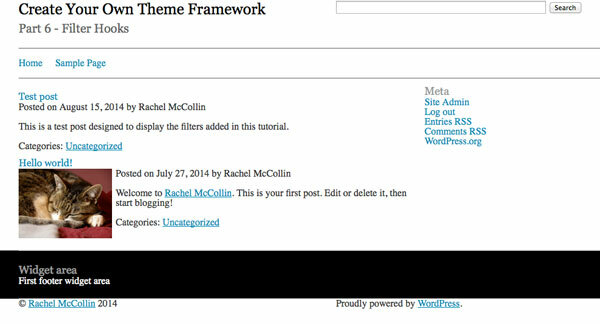 This is the second part in a series showing you how to create your first WordPress widget. In the first part you learned about the Widgets API and the WP_Widget class. In this part you’ll learn how to start..